Casie (pictured below) initially attended an interview for a Traineeship position with an ice cream parlour but following further exploration of her skills and interests it became evident that her overriding passion was to work with animals.Alternative options were discussed with her and another opportunity at a local a pet shop, Ingleby Pet Supplies was identified as a potential, suitable option. Casie was extremely engaged and inspired by this opportunity and an interview was quickly arranged. So impressed was Dawn, the owner of the shop that, to Casie’s delight Traineeship was immediately offered to her. Returning to learning was immense challenge for Casie, who initially had huge confidence barriers to overcome. She was particularly concerned about returning to the training centre for Functional Skills and work preparation training and it took a couple of attempts to get started.On her second attempt Casie became very upset and there was a risk of her complete disengagement however, swift and responsive by Debbie (her Traineeship Co-ordinator) and Dawn (her employer) provided much needed additional support and encouragement and subsequently enabled Casie to settle in. The individually focussed support given to Casie ultimately paid massive dividends: she did attend and she did continue to engage. Consequently, Casie’s confidence grew enormously and most importantly; she made friends with the others in her group. A personalised, longer-term plan was developed and agreed between all parties and continues underpin Casie’s learning aims. Casie proved to be a dedicated and committed learner. She completed her work preparation training and achieved her NOCN Level 1 Award in Skills for Employment, Training and Personal Development. Casie is currently working to achieve the last element of her Level 2 Functional English qualification. 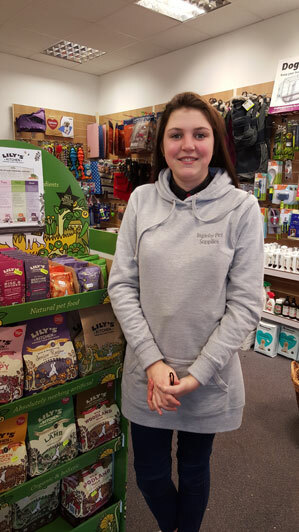 Following completion of her Traineeship, lasting twenty weeks, Casie was successful in securing an apprenticeship position with her employer and is now not only confidently engaged in an Intermediate Apprenticeship in Customer Service, but is having a great time too. Stuart Welsh, Account Manager of One Awards commented – ‘The level of support provided to Casie by Stockton Council and her employer has been second to none, a true testament to partnership working. Our congratulations go out to Casie and we wish her well for her future apprenticeship. One Awards are immensely pleased to have been able to support Traineeships for some time now. Regionally, models of delivery have been varied and delivery has been managed by a range of different providers including FE, Training Providers and Employers. Provision has generally been small but with a focus on high quality.